Election Day 2018 is here and that means it’s going to be a busy day for those living in America. Here are a few things for voters to keep in mind for Election Day 2018. Polls in the U.S. open at different times depending on the state. However, the earliest that polls open today is at 5:00 a.m in some states. The time that polls close is also up to each state. It looks like the latest time for a poll to be open today is 9:30 p.m.
Finding out where to vote at is also a simple process and just requires users to check at Vote.org. It’s also worth noting that there are a total of 35 Senate seats up for grabs today. Deomcorats hold 26 of these seats and the rest are Republican. The current state of the Senate has Republicans in power with 51 seats and Democrats have 49 seats. There are also a large amount of House of Representatives members that are up for election today. The House of Representatives is currently under the control of the Republicans. This is due to Republicans holding 236 seats in the House and Democrats holding 193 seats. Some predictions claim that the Republicans will maintain control of the Senate today, but will lose the House to the Democrats. You can follow these links to learn more about Election Day 2018. InvestorPlace is also helping out today with a collection of Election Day 2018 images. You can follow this link for those images and feel free to share them on social media today. 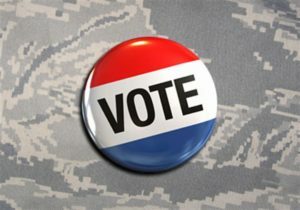 Article printed from InvestorPlace Media, https://investorplace.com/2018/11/election-day-2018-things-to-know/.